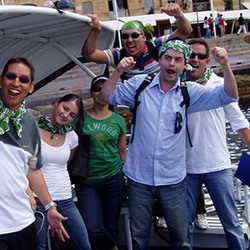 Sydney Harbour Water Taxis - best prices for harbour cruises, wedding transport, New Years Eve. Enjoy a front row seat for the start of the Sydney to Hobart Yacht Race on Sydney Harbour this Boxing Day. 90 minute Sydney Harbour cruise. Pick up from Circular Quay. 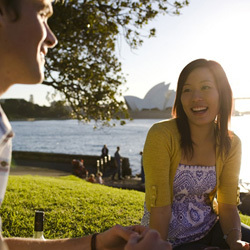 Explore Sydney Harbour in style. Indulge that special someone with a private cruise or one of our event packages. » DIVERSE FLEET – only water taxi company which has Water Limousines, Water Taxis and a Waterbus. » SMALL & LARGE GROUPS - We are experts at VIP events and special occasions. » LUXURY & COMFORT - Our boats are all weather. We operate 7 days a week from early until late. 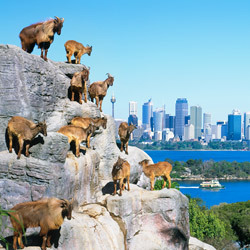 Private and group Vivid Harbour cruises. Boat charter for private and corporate events available. Or, beat the crowds and travel between the Vivid precincts via water taxi. Sit back, relax and allow your skipper to ferry you and your guests across Sydney Harbour in style and comfort. Take in the fantastic views of your favourite Sydney Harbour icons or indulge that someone special with a private cruise or enjoy one of our cruise, fly, dine packages. The city by night is even more spectacular so indulge yourself on that next special occasion by booking a water taxi or VIP water limousine. 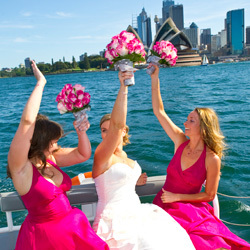 For many years we have been transporting bridal parties and their guests around Sydney Harbour. Our custom made water limousines will ensure you arrive fresh and make the ultimate statement on your big day. We offer a range of packages or we can create a unique plan for transporting just the bride and groom or even all of your your guests.